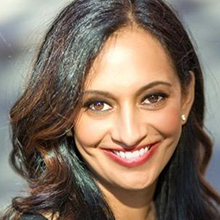 A technology veteran with over 20 years as an entrepreneur and VC, Jalak founded Future\Perfect Ventures in 2014. She has invested in over 80 early stage companies over the past 15 years, resulting in several multibillion dollar acquisitions and IPOs. She is widely renowned as a blockchain thought leader, and was she was of the first investors in the blockchain space in 2013. She was recently named one of Institutional Investor’s Most Powerful Fintech Dealmakers. Previously, Jalak was a director at Omidyar Network managing mobile investments in emerging markets, and Senior Vice President at the New York City Investment Fund where she launched a seed tech fund and the Fintech Innovation Lab. She was also at Intel Capital in Silicon Valley from 1999-2003, on the founding team of a web startup in 1997, and a tech/media/telecom investment banker at Lehman Brothers in NYC and London. Jalak has served on multiple advisory boards for the White House, NYC Mayor’s Office, and the US State Department, and serves on the BOD for the Center for an Urban Future. She is a frequent contributor for CNBC, Bloomberg TV, Business Insider, Quartz Media, and Fox Business News. Her full bio can be found here, and she has been active on twitter since 2007 at @jalak.